SoCal Herbal Remedies is a family-owned business based in California. According to their website, the company aims to provide high-quality products to their customers by sourcing it from their secure partners. Furthermore, the company conducts a detailed inventory to ensure their products’ freshness. Product freshness is their organization’s value proposition. Aside from that, the company prides itself on providing accurate and fast services because they process orders within 24 hours. They hire people within their community to make some contribution to their product development in its awareness and legality. 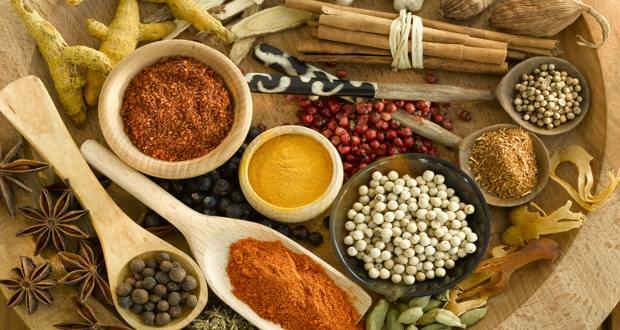 Aside from kratom, they also offer other herbs, essential oils, and teas. They claim to provide high-quality natural herbal products to their customers at an affordable price. However, this organization is more popular due to their strains. In a short period, this company has attracted loyal customers, and most of the customers claim that the company’s strains are effective against pain relief. Users also say that you will experience the same efficacy every time you use the products. They aim for fast same-day delivery of the orders made before 3 PM PST on weekdays and before 10 AM PST on Saturdays. They ship only within the U.S. The delivery is fast. However, you will need to pay $6.9 as a flat delivery rate. In return, they keep track of the delivery. Currently, the company does not offer overnight shipping because of the remote location. However, SoCal Herbal Remedies does not guarantee the shipping dates of priority orders or packages. They can only base it on the USPS tracking to know where your orders are. Unless the product goes missing or remains undelivered, that is the only time they can act upon your order. If your products have been labeled as delivered, but you still do not have the said items at hand, then you should check your local post office and see if the package was delivered there instead. On the brighter side, the company promises to reship your lost items if your local post office loses track of the package as well. Do note, however, that you will need to pay a fee for a signature confirmation which will cost you $2.55. The signature confirmation guarantees that your orders will arrive no matter what happens. If you fail to avail the signature confirmation service, the company will not reship your items. Green Hulu Kapuas is good for fatigue and pain relief and can provide the effects for up to three hours. However, it causes drowsiness that can last up to five hours on average depending on your tolerance level. 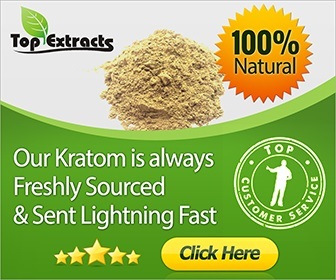 This kratom is a good pain killer and energy booster in which the effects may last up to six hours. It is an energy booster and pain reliever strain. The effect of 4 grams can last up to four hours. You can mix it with your favorite drink like coffee. This strain is a pain reliever which is useful against a migraine. Aside from that, it can make you feel refreshed and energized. You will feel the effects in just five minutes after intake. Its effects are not as intense as the other products. Rather than being an energizer, this strain is best used as a relaxant. It provides long-lasting pain relief. This strain is a soothing relaxant, mood enhancer, and pain reliever. It does not cause drowsiness, unlike the other reds. Plus, it is good for people who experience mood swings like those who have bipolar disorder. Aside from strains, the company also offers cannabidiol products. To ensure freshness, SoCal Herbal Remedies list their products’ batch date to let you know how new their products are. If you know what you want to buy from their website, you can directly use the search box to find the specific product that you are looking for. However, if you wish to browse through all their available offerings, their products are arranged in different categories which are the apparel, essential oils, herbal soaps, kava, teas and herbal teas. It is vital to take note that there is no indication about the effects of every product or the suggested intake; so, you will have to do your research before buying from their site. Their website is responsive and user-friendly, and rest assured that your information is safe and secure once you decide to make a purchase. 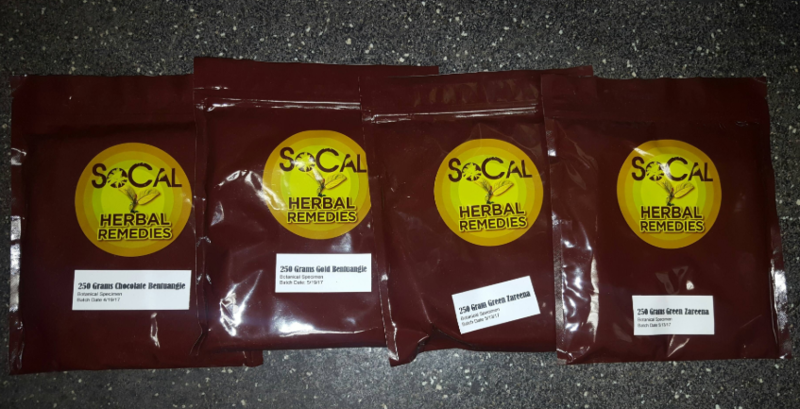 SoCal Herbal Remedies is a favorite brand of most kratom users. Their products’ affordability, reliability, and efficacy make their brand trustworthy.